Love your metallic work. 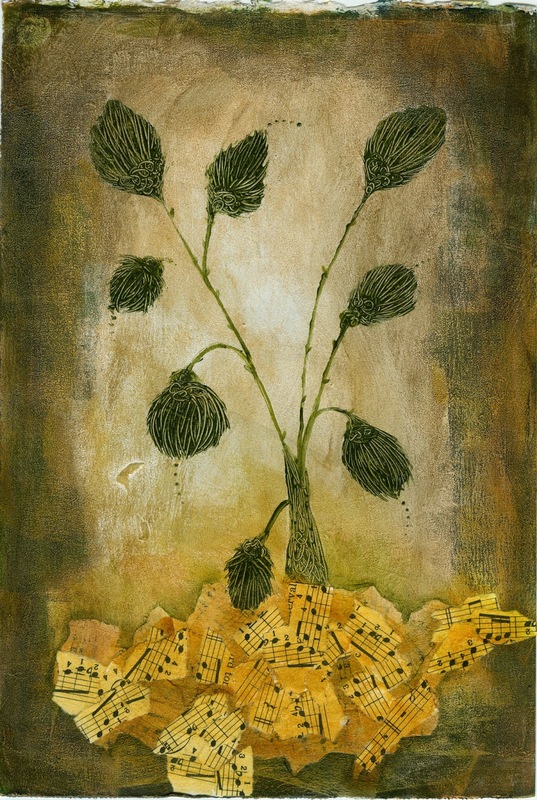 The imagery of the flowers growing from music is very striking. I love metallic paint so would no doubt adore this course. It sounds like you have been very busy recently.It must be liberating to be able to let so many things go. Great to hear about your clearing away so much old stuff. I REALLY need to do the same. I can't move in my house or studio.